While I have as much respect for Mr. Tobin as I can have for another person, he being far more educated than I and a much better writer, Mr. Tobin approaches everything from a Jewish worldview. Mr. Tobin is not a Christian. As an American, one who possibly is a wee bit more aware of what is transpiring here, as well as being a child of God’s, a disciple of Jesus Christ the Lord, I see the constant eroding of American institutions such as the Congress. Twenty years ago, ten years ago there were no Islamists in any house of the U.S. Congress. 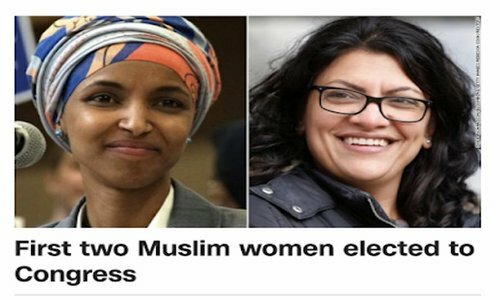 Now with each election Islamists are getting elected to what throughout U.S. history has been known as “the people’s house,” or the people’s branch of government. The White House and the Presidents, as well as the Supreme Court Justices are considered to be in a different league — but with the Congress? That is supposed to be the “house” whereby the people elect and have their REPRESENTATIVES, their VOICE. This is being eroded and corrupted with each subsequent election. There is an ongoing erosion and corruption in all elected offices throughout this nation. Colorado now has its first openly homosexual Governor. Oregon has an openly bisexual Governor. There are openly homosexual and lesbian elected officials from Kansas and New Hampshire. Many within the U.S. Congress and various government institutions. All pushing the militant, concerted homosexual agenda. Make no mistake. As troubling as this more and more Islamists are being elected as LAWMAKERS. These are all anti-Israel, anti-Jew, anti-Christian officials. Make no mistake. This constant erosion will have dire consequences. Make no mistake. Mr. Tobin imagines a world, a Congress where the established democrats in Congress will control these new radical elements but with each passing election more and more extremist, radical elements are being added to the ranks of both houses of the U.S. Congress. I believe every word in God’s word. The Holy Bible. And I believe we are living in the Biblical times of Romans 1. There is coming a time where a tipping point will be present. Where the moderates will have been voted out, retired, passed on and the radical elements, the Islamists, the homosexual, the anti-Israel, anti-Jew, anti-Christian, anti-Constitution, anti-American elements will be making the laws. Making the laws lawlessness. Do not imagine this can never be. America already has turned from God, turned from Jesus Christ, turned from the Holy Bible, turned from being a God fearing Christian nation and people. We have already indulged in and revel in making the laws lawlessness for decades now — and God is giving this generation, these people now over to reprobate minds. Make no mistake. Spend much more time in private meaningful humble prayer not amiss. Spend more time in mediation upon and study in and of God’s word. The times are a changin’ and there has been something blowin’ in the wind for decades now. Evil is growing. Because the people allow it, revel in it, take pleasure in it and elevate evil to their idol. they make pursuing evil their livelihood and ambition while more and more turn from God, spit on Jesus, mock and refute the Holy Bible. Even in so-called Christian churches in these times. More evil is coming. More laws will be changed. America is lumped in with ALL NATIONS, EVERY NATION because America no longer is a distinct and different voice. A different light in the world. America has become like just about every other place and the unrighteous, the unholy, the ungodly, the pagan, the lovers of self and evil are prevailing. Even within the so-called Christian churches. And within every institution in this land. Now I do not propose anything Un-American such as banning certain people from running for office. I do not suggest anything any fascist, communist, repressive tyrannical state has ever proposed and implemented. I am praying that the people of this once Christian nation see the light, repent, and have the scales removed from their eyes, the lies removed from their ears and they begin to see, hear and discern wisely. Let us all pray for such. Continually. With faith. For that is the only balm and solution we have before U.S. — to turn BACK TO GOD, BACK TO JESUS, BACK TO THE HOLY BIBLE, BACK TO LIVING AS RIGHTEOUS as we possibly can as a God-fearing, Bible believing people. God’s infinite love and mercy, God seeing and knowing all would respond in kind to this nation once again. I believe completely if we repented as a people and turned back to God diligently, sincerely we would not have to concern ourselves with Islam spreading into our government, with homosexuality being accepted and more and more openly homosexual people being placed in public office. If we were again a God-fearing, Bible believing and Bible LIVING people, striving to be obedient to God we would not ever be discussing such matters. But the further we remove ourselves from God our Father? The greater our travails, our trials, our tribulations and sufferings will become. Radical freshmen in the House will make noise while veterans preserve the alliance. Congresswoman-elect from New York Alexandria Ocasio-Cortez with Sen. Bernie Sanders (I-Vt.) on CBS’s “Face the Nation.” Credit: Screenshot. But instead of panicking at the prospect of a House of Representatives controlled by the Democrats in 2019, those fearing for the future of the U.S.-Israel alliance should calm down. While the next two years promises to be one of escalating conflict between the Democrats and U.S. President Donald Trump, Israel won’t be part of the argument. Just as important, the election results gave far more comfort to those who wish to keep the Democrats as part of a bipartisan pro-Israel coalition than those who want to break it up. 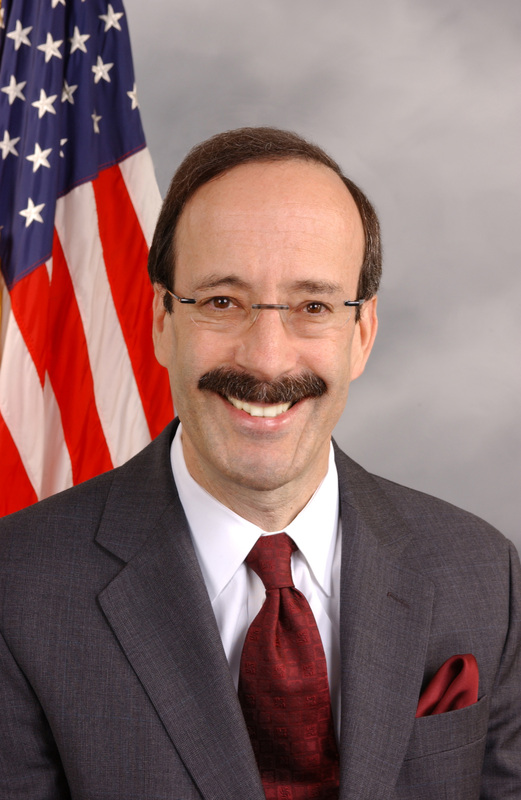 Rep. Eliot Engel (D-N.Y.) is expected to become the next chairman of the House Foreign Affairs Committee. Credit: Wikimedia Commons.